INTRODUCTORY PRICE — 75% OFF FOR A LIMITED TIME! "Voice Dictation" is an easy-to-use voice recognition application that allows you to easily speak and instantly see your text or email messages. In fact, it’s up to five (5) times faster than typing on the keyboard. With "Voice Dictation" you can also dictate status updates directly to your Social Networking applications (Facebook and Twitter)….all using your voice. So when you’re on-the-go, stop typing and start speaking – from short text messages to longer email messages, and anything in between. 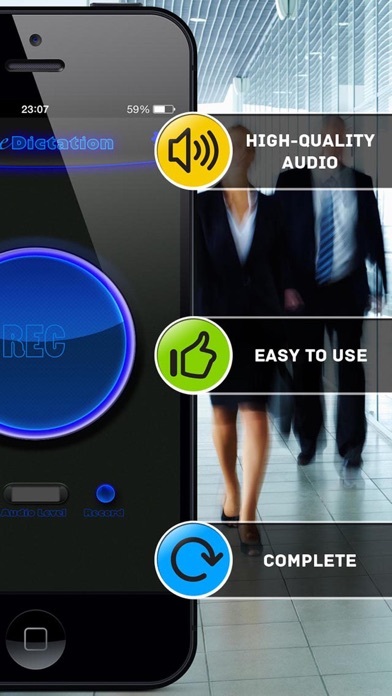 "Voice Dictation" supports a multitude of global languages. 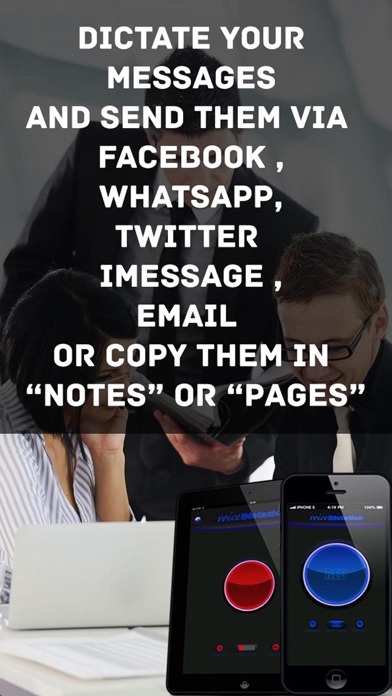 -Support Facebook, WhatsApp, Twitter, SMS, email and more. -Universal! Ready for iPhone and iPad and iPod touch. 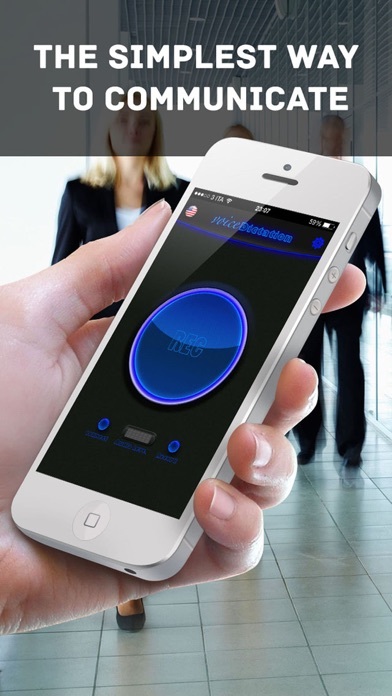 - The application is based on an intelligent speech recognition that improves with time. Buy now and enjoy the free updates!